Set heated door mirrors to the defender. Suitable for all defenders with and without standard winter package, all construction years since 1984. 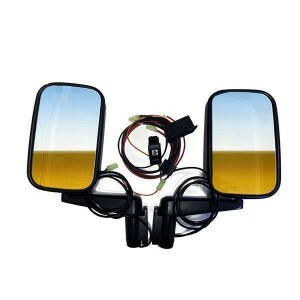 This kit consists of a cable boom with switch which allows the heated mirrors to be operated while driving. Comes with 2 heated mirrors, cable tree, installation equipment and color installation instructions.